When I was growing up, my parents always encouraged me to think of the future with freedom and hope. 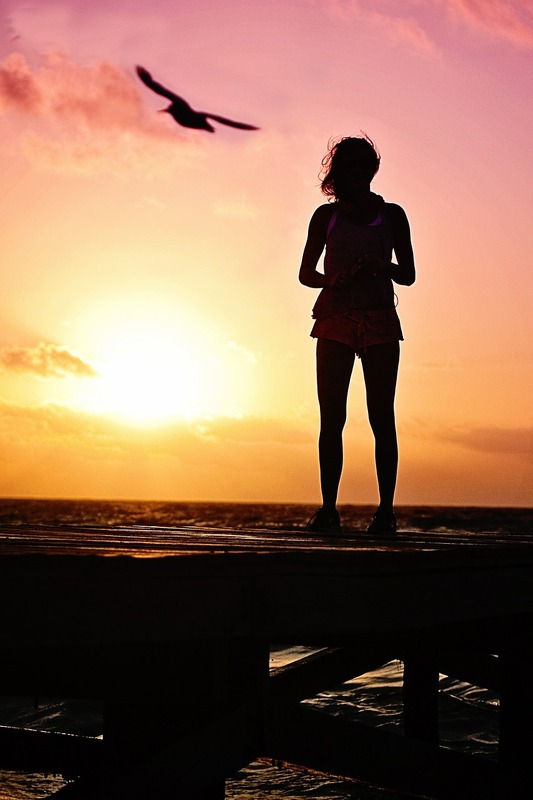 Although my parents had high expectations regarding my behavior and my schooling, they gave my siblings and I great freedom in deciding what we would do with our lives. I knew they wanted me to be happy and holy, but I also knew that I could aspire to be a nurse, a veterinarian, a musician, or anything else, and they would support me in following my dreams. So, when I asked permission to enter the convent while still a teenager, I was thrilled but not super-surprised that they said “yes.” (I expected support but wasn’t sure if my parents would ask me to wait.) Only later did I realize how unusual their decision was, how hard it must have been for them, and how much flak they received from family and friends in allowing me to follow my dreams. Helping a child discern his or her vocation in life is one of the most important responsibilities of being a parent. Why? Because we find our most complete fulfillment and happiness possible here on earth when we are living our vocation. In creating us, God has gifted us with a mission that, when we carry it out, fulfills our deepest desires and allows us to develop our gifts. Helping a child to discover and follow their unique, God-invited path is one of the greatest gifts a parent can give to a child; such a gift becomes foundational to that child’s happiness for the rest of his or her life! The most important way to help a child follow his or her vocation is, of course, to nurture their life of faith and their call to holiness. But how can parents specifically foster in their children an openness to every vocation? Openly talk about the various vocations with your children. If your child is old enough to be seriously thinking about his or her future, invite him or her to consider the various options. Talk about the advantages and gifts of each state in life. If they make a preemptive choice for a particular vocation or career, talk it over with them reasonably. Even if their choice seems ridiculous, find out why they are drawn to it, and help them to see the practical consequences. By encouraging them to think through their choices, you free them from the pressure of choosing something simply to please you or someone else. 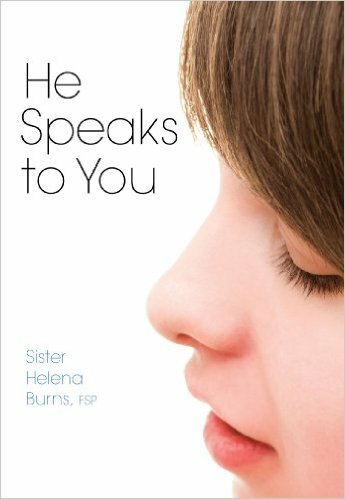 For young women (teens and young adults) He Speaks to You by Sr. Helena Burns, FSP is a daily meditation book directed specifically to teens with super-short meditations, prayers, and activities that encourage a young woman to root her life in Christ and discern how she can follow Jesus in her daily life and in the future. 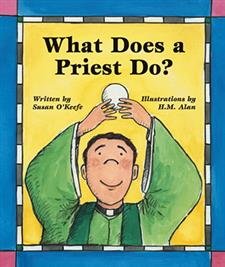 Help to make deacons, priests and sisters familiar to your children whenever possible. Find ways to be active at your parish, and encourage your children to participate as well, as a singer in the children’s choir, as an altar server, as a member of the Junior Legion of Mary, etc. In addition to helping them engage in parish life, they will also see the priest(s) at the parish more often. If you have a friend who is a sister, deacon, or priest, invite them over for a family dinner. Another resource for young children is from ABCatholic, who has created a unique series of dolls, among them “Sister Softy” who can help to make religious life more familiar for young girls. Unfortunately, many young people never have the opportunity to meet religious sisters, especially sisters in habits. Sadly, the habit, which is meant to be a sign of consecration to God but also a sign of God’s loving care, can even make some people feel a bit intimidated to approach a sister. 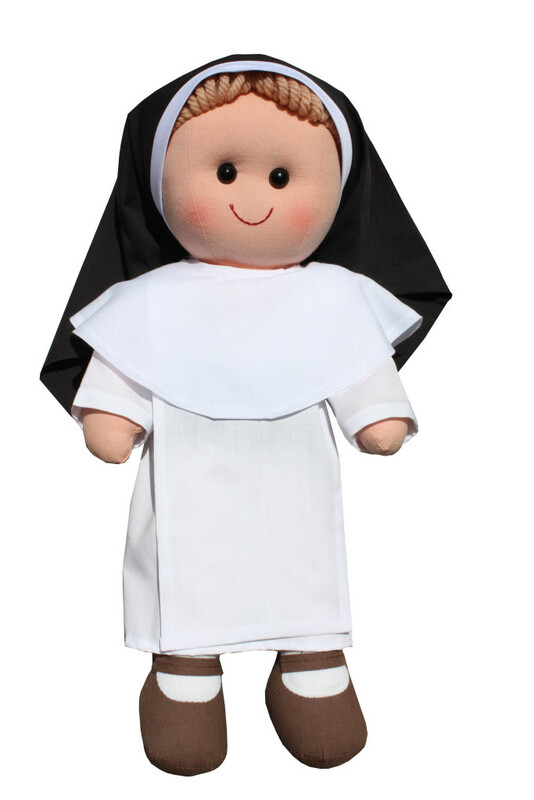 This doll—and others in the series, such as the Carmelite Sister or the Dominican Sister—can help make religious sisters accessible. Share the lives of the saints with your children. 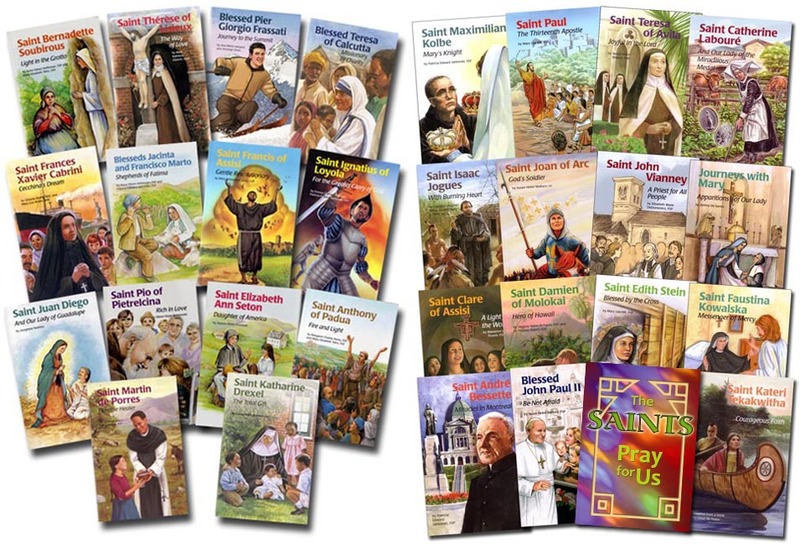 Share with your children of all ages stories of your favorite saints, planting the seeds for their vocation even at a young age. Use a Catholic calendar to note and celebrate feast days of your favorite saints. Perhaps you can pick a patron saint for your family every year, or choose a patron to celebrate every month. 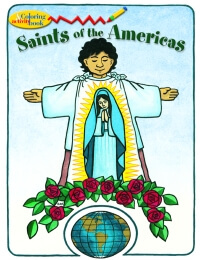 For younger children, Saints of the Americas Coloring Book was recently distributed at the World Meeting of Families in Philadelphia as a way to encourage vocations in families. Watching movies on the saints can become a monthly family night. These dramatic portrayals of the lives of the saints not only inspire growth in the faith and knowledge of Church history, but also provide an “inside view” of how different individuals have lived their unique vocations. For recommendations of great saint movies, check out this post on my media blog. The Kiczek family have created a lovely doll of St. Therese of Lisieux, which comes with accessories: several costumes and a children’s book about her life. The Kiczek family are hoping to create a whole series of saint dolls at www.dollsfromheaven.com. 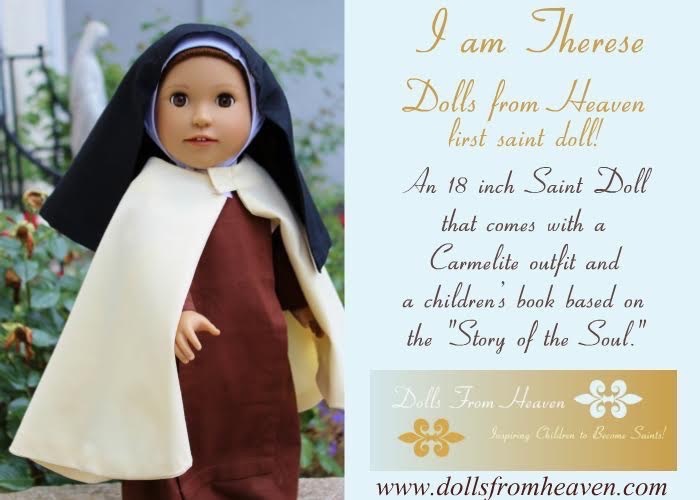 Dolls are a warm way to encourage a child’s relationship with individual saints, as well as introduce the universal vocation to holiness, and the various vocations. Dressing up is a favorite childhood pastime. Halloween gives children and families the opportunity to dress up imaginatively for a night. If your parish, Catholic homeschool group or Catholic school has a themed party for Halloween or All Saints Day, this is a perfect opportunity for your child to dress up as a monk, nun, priest or deacon. An “All Saints Day” party offers the chance to research a saint and dress up as well. A “Dress Up As Your Favorite Saint Contest” at home could also be an opportunity to explore what it means to live a particular vocation to holiness. There is nothing like seeing religious life in action, to better understand it firsthand. Make a family pilgrimage to a convent, monastery, or seminary during an “open house” or special celebration. If an opportunity arises for an older child to make a retreat, go on a “nun run” (a visit to a series of convents for young women), or something similar, encourage him or her to go. Encourage your teens to actively participate in mission outreach sponsored and supervised by the parish, diocese, or religious communities. Being sent on mission is a great way for a young person to experience the mission of the Church—a mission they are called to participate in, no matter what their vocation is. Mission experiences can help a young person understand that God has a mission for them to fulfill, and how important it is to correspond to God’s call. How To Promote Vocations in Your Family A comprehensive list of ideas downloadable as a PDF from the Diocese of LaCrosse. 7 Ways Families Can Foster Vocations is a brochure that can be purchased and shared—but also simply read online here. 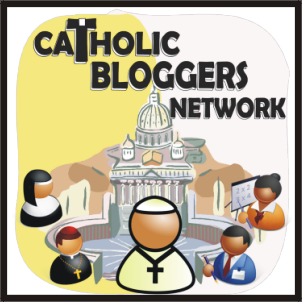 Catholicmom.com has the most comprehensive resource online that I found for encouraging vocations in the family. I highly recommend checking it out—both for encouraging vocations, but also for great resources on nurturing holiness in our families. My daughter Frances (12) has a lovely St. Francis outfit she loves to wear. She wants to be a vet, so I’m thinking we named her appropriately and she has a great friend to intercede for her! Beautiful story, thanks for sharing! I’ll be praying for your daughter. God bless you.